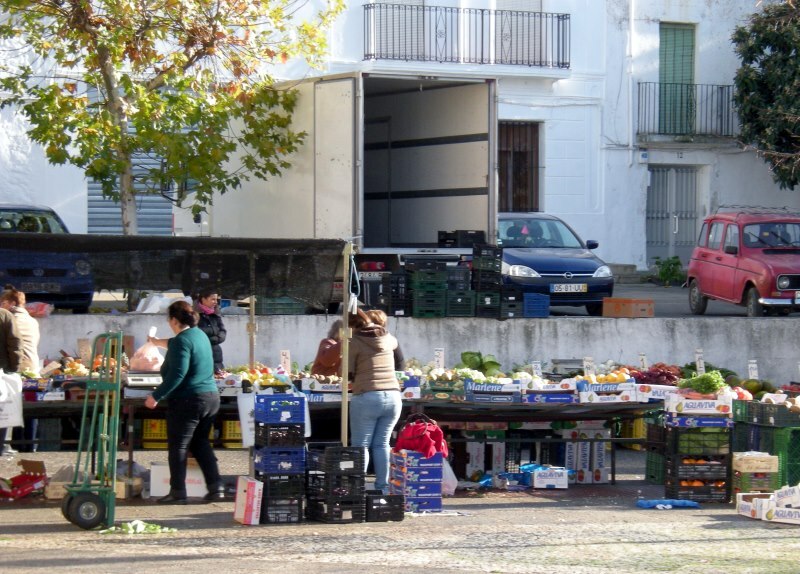 This is an image of a city square in a rural area of Spain, and it represents the “zero degree” of the urban retail: a street market. I’ve chosen this image, quite far from idyllic. Here we have the same urban role played by those breath-taking image of Italian markets conveyed through cuisine tv shows, but there is no substantial contribution to the formal landscape; sure this is more than decent, but it is not elegant, as so many other things in life. 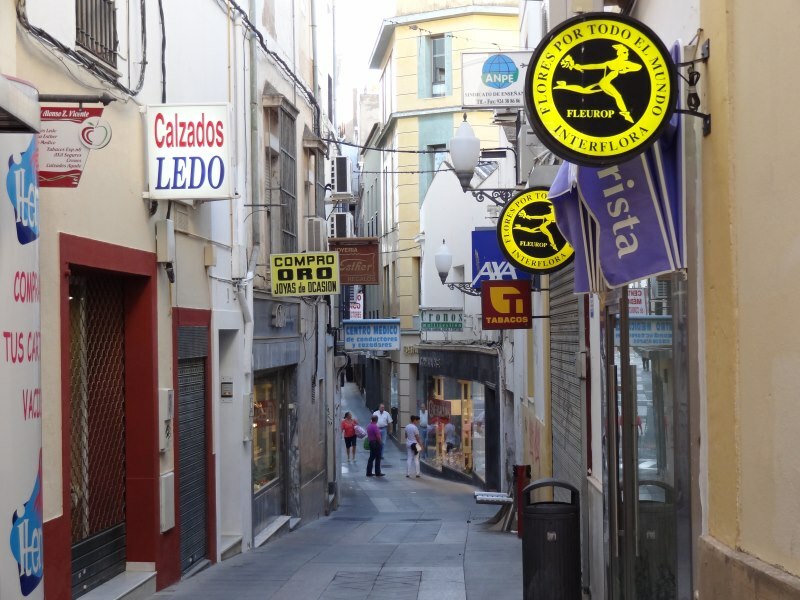 And this third image is a street in central Mérida (Spain), a city of almost 60.000. it is not main street, but is urban landscape is marked by retail. 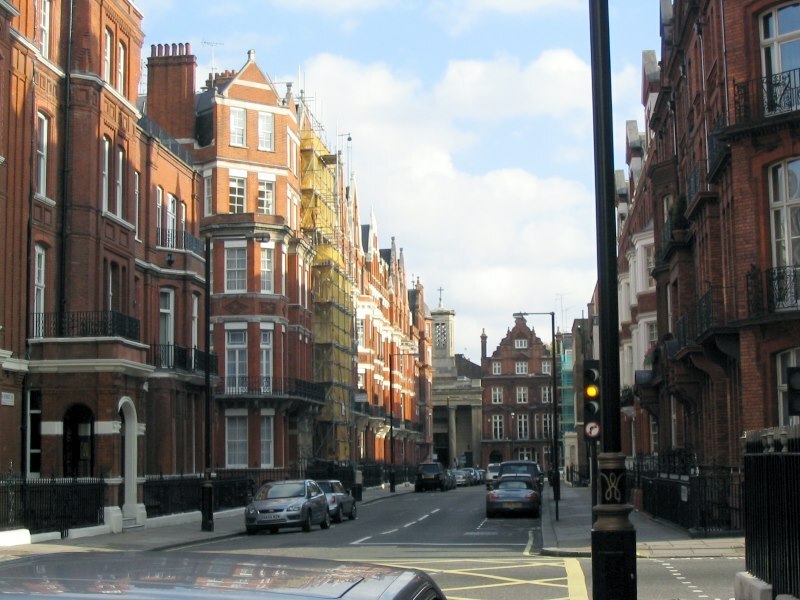 You can have beautiful streets with or without retail, or they can be uninteresting on their own; you can have attractive or boring shops. But what commerce brings to citizens using the streets on a daily basis is a material expression of the evolution of the city. 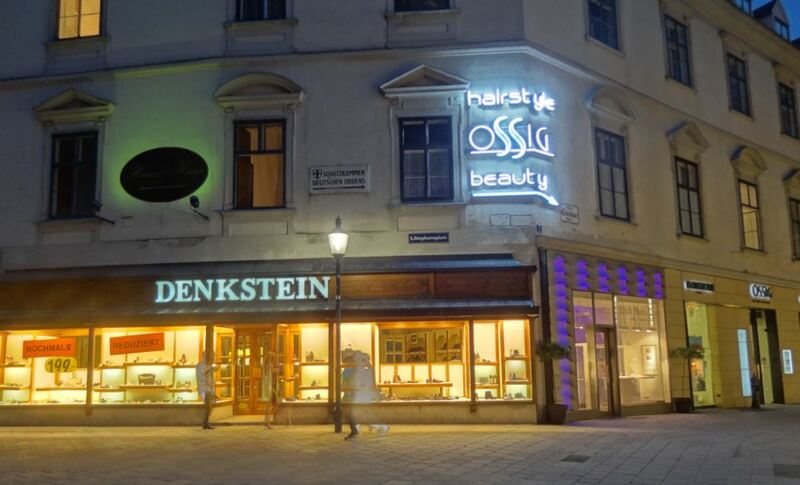 And to those coming from out of town retail means a clue on what sort of aesthetics mobilizes local buyers; the extent to which retail implies visual clutter is also noticed by visitors (it can be positive, but not that often). The lack of retail (including bars and restaurants) in a street has its landscape depend just on building architecture, much more static. You make a very good point. It explains why feelings toward a city/street change as retail disappears or morphs into service businesses or professional offices (I think). I look forward to those next posts.